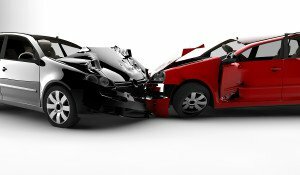 If you are injured in car accident in Missouri and you are not at fault, what kind of damages can you collect? There are two major categories of damages: economic and noneconomic damages. Economic damages involve things that have cost you money as a result of the accident. They are often called out-of-pocket damages. The first item of economic damages is property damage, which usually involves damage done to your car in the accident. The driver who caused the accident must pay to repair your car. Other items of economic damages are for physical, personal injuries you have suffered in the accident. This would include bills for medical treatment – for an ambulance bill, hospital and doctors’ bills, physical therapy, etc. Any medical treatment you had that is related to the accident is included. If you missed any work, you are also entitled to your lost wages that you can show are the result of the accident. The other major category of damages are noneconomic damages. Unlike economic damages, these damages do not involve reimbursing you for bills to repair your car or pay for your medical treatment. Unlike the amounts for medical bills and lost wages, damages for your pain and suffering is not a set amount. These damages are based on how serious your injuries are. But be aware that due to a new law in Missouri, if you did not have car insurance at the time of your injury – and for a period of six months prior to your accident — you are not entitled to any damages for pain and suffering. There are some exceptions to this law. For example, if the driver who caused the accident was under the influence of drugs or alcohol, you are entitled to damages for your pain and suffering even if you did not have car accident. To make sure you are not precluded from getting all of your damages if you are in a car accident, make sure to comply with the law and keep your car insurance up to date!